Summer vacation has started and I am in a very relaxing mode. The boys do drive me crazy through the day, but I am sort of enjoying that (I did not say it out loud)! It is just my poor husband who is left hanging as we don’t pay attention to him at all in the mornings when he leaves to work. We are all busy sleeping in and many times do not even realize that he has left for work. All the sleeping in the morning has to be compensated somewhere to make Mr. H happy. 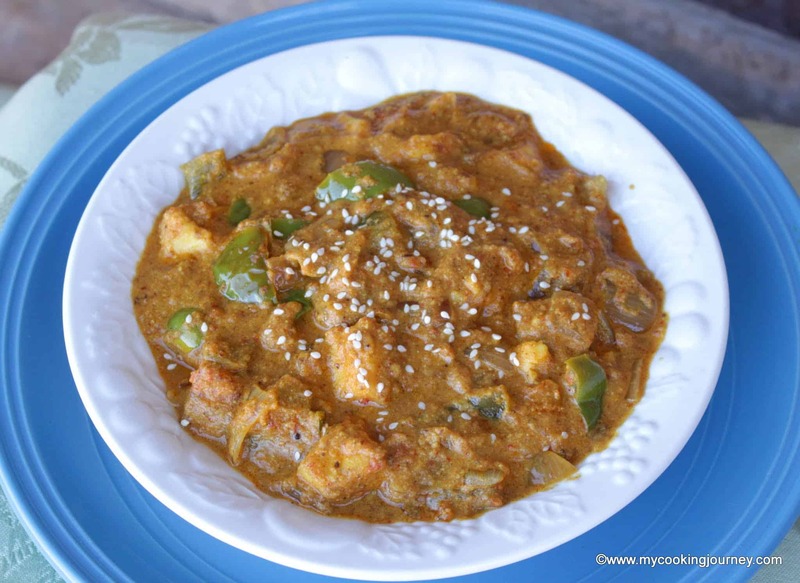 What better way than making restaurant style gourmet gravies for dinner. This sure will make anyone happy and we are no different. 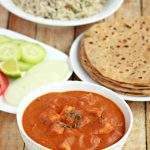 My boys love North Indian food and would choose chapathi and subzi over sambhar and rasam any day. 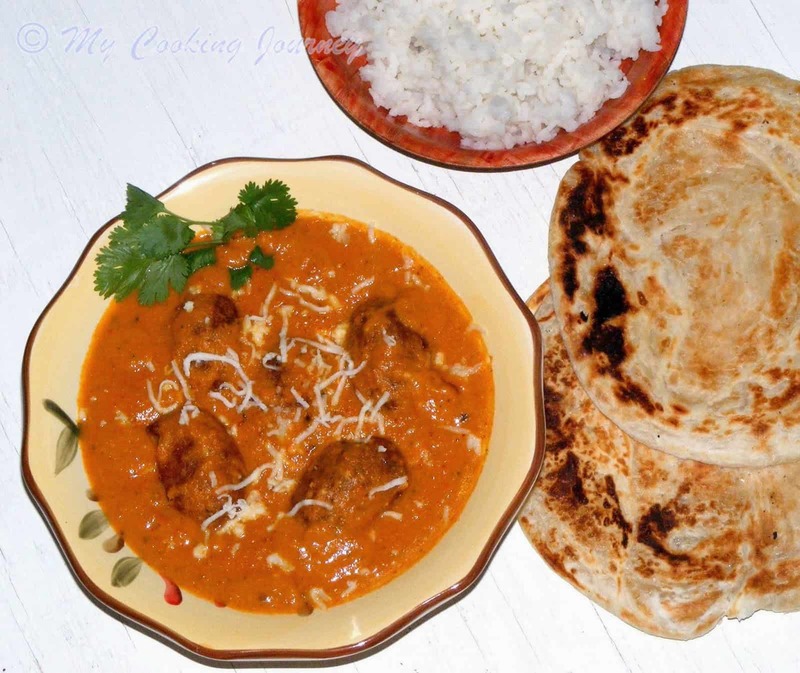 This week I chose the Gourmet gravies with smooth textures and have come up with 3 different gravies. 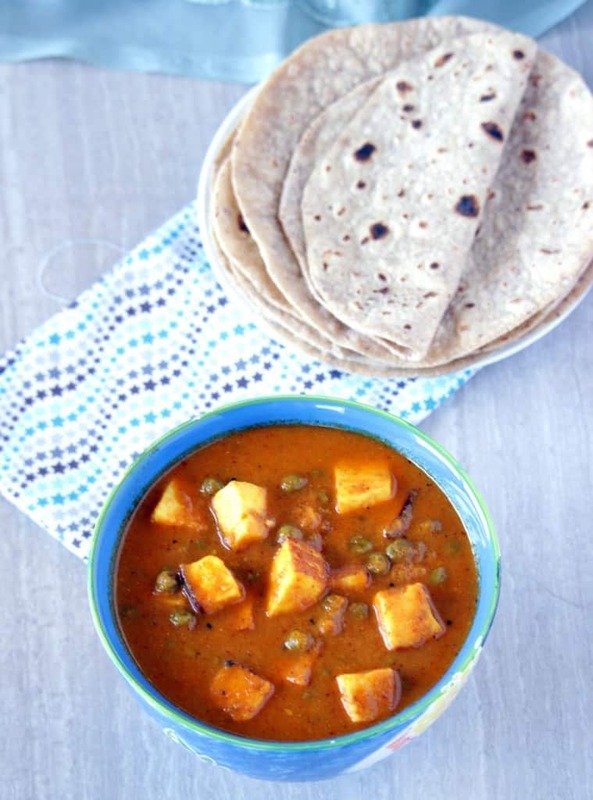 The first one that I chose for today is the classic matar paneer. 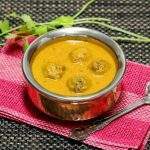 This is one of the most preferred dishes that we order when we eat out at restaurants. 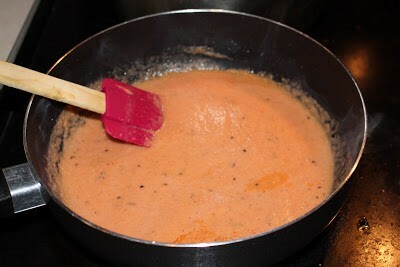 For dishes like these, it is almost a must that we should have smooth textured gravy. 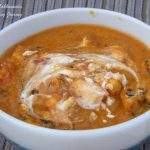 This recipe has the basic onion-tomato mixture that is ground with some spices to a smooth paste. I have included cashews for richness and used some yogurt for creaminess. If you have cream, you could use that instead of yogurt. Grind all the ingredients mentioned under ‘to grind’ and keep it aside. 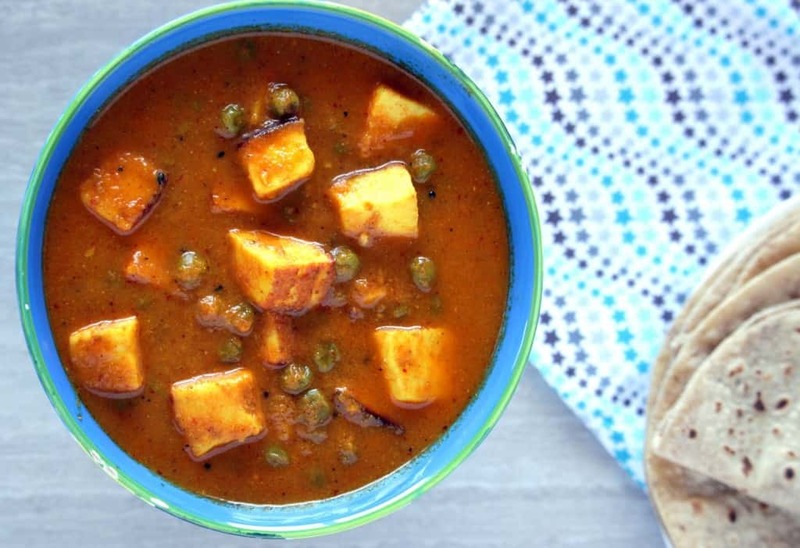 Cube the paneer into bite size pieces. In a pan, heat about 2 tbsp of oil and heat it up. 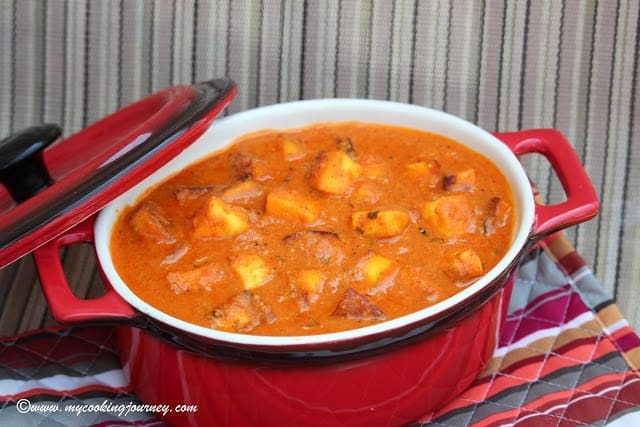 Add the cubed paneer pieces and fry them until they are slightly brown. 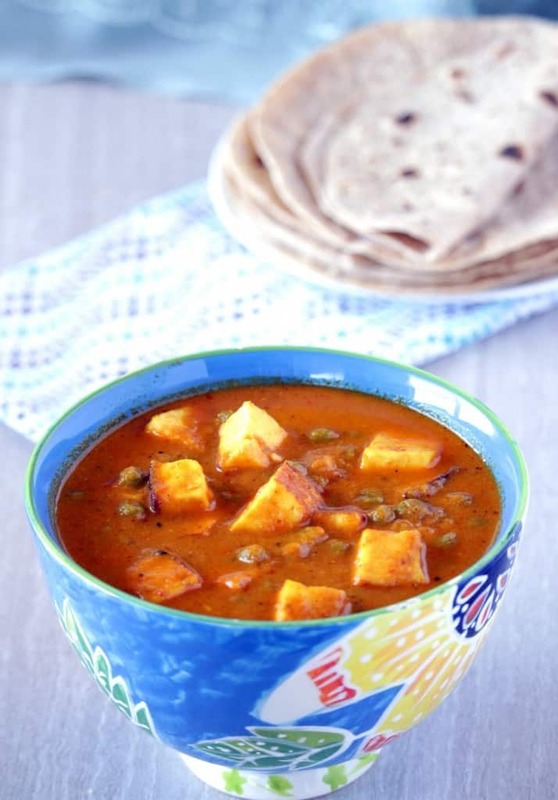 Remove the paneer and then keep them soaked in warm water until ready to use. 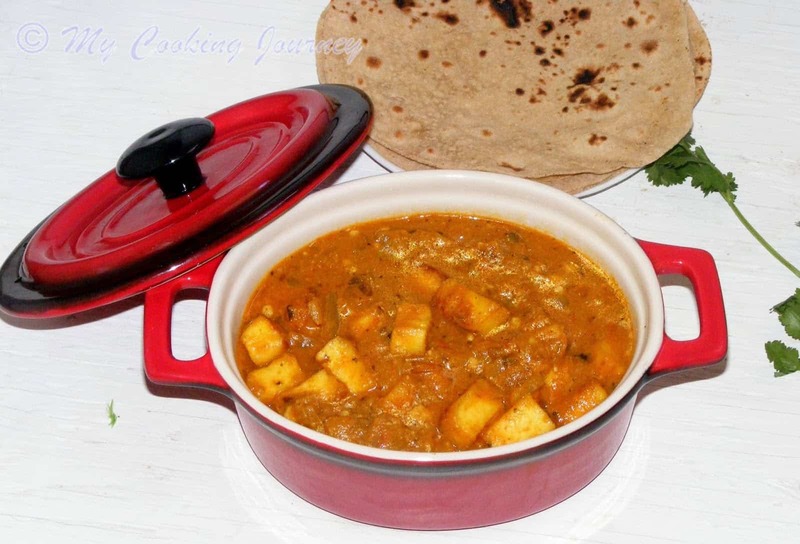 This step makes sure that the paneer pieces are soft. In the same pan, heat the remaining oil / butter. I use equal quantities of oil and butter. Add the cumin seeds and let it crackle. Now add the ground mixture and fry them in low to medium heat until they are aromatic and the oil leaves the sides of the pan. 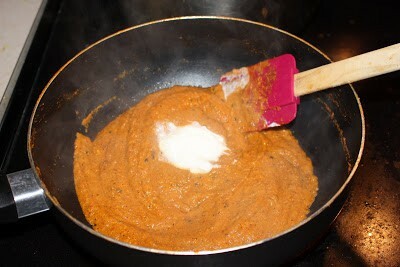 This mixture might splatter all over, so make sure you fry it in low flame and cover the pan, if needed. 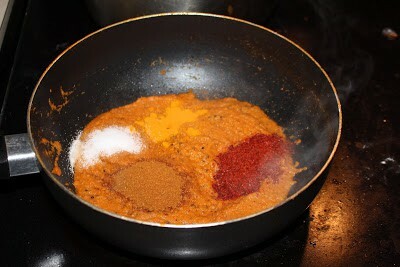 Once the Masala is cooked well, add the turmeric powder, red chili powder, salt, sugar and garam masala. Mix well and let it fry for about 5 more minutes. Now add the yogurt and let it cook further for 2 more minutes. 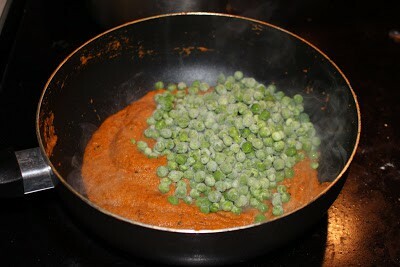 Add the peas along with a cup of water and mix well. Cook for about 5 minutes to soften the peas. I used frozen green peas. 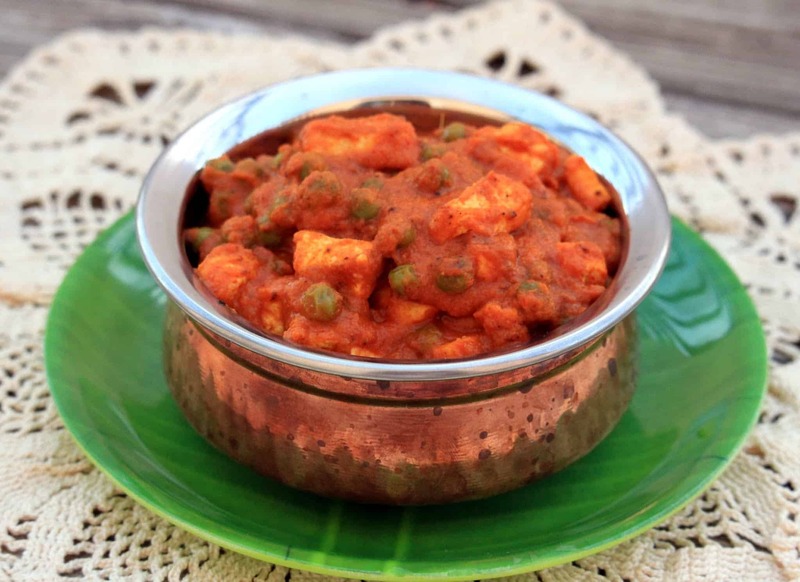 Drain the paneer pieces and add it to the subzi. 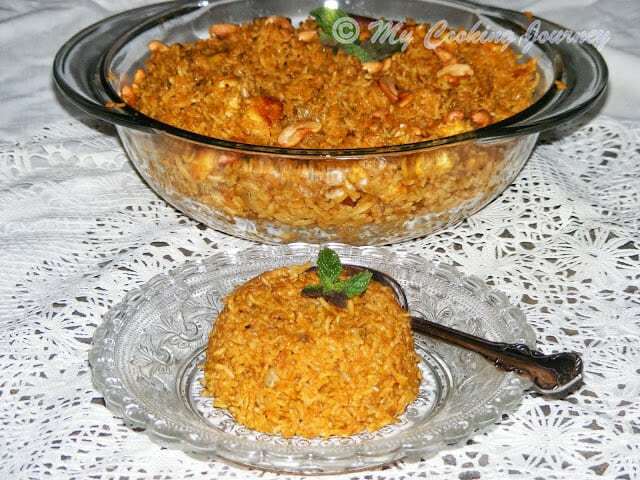 Mix well and adjust the consistency of the subzi by adding more water if needed. Simmer for about 5 minutes and then garnish with cilantro. 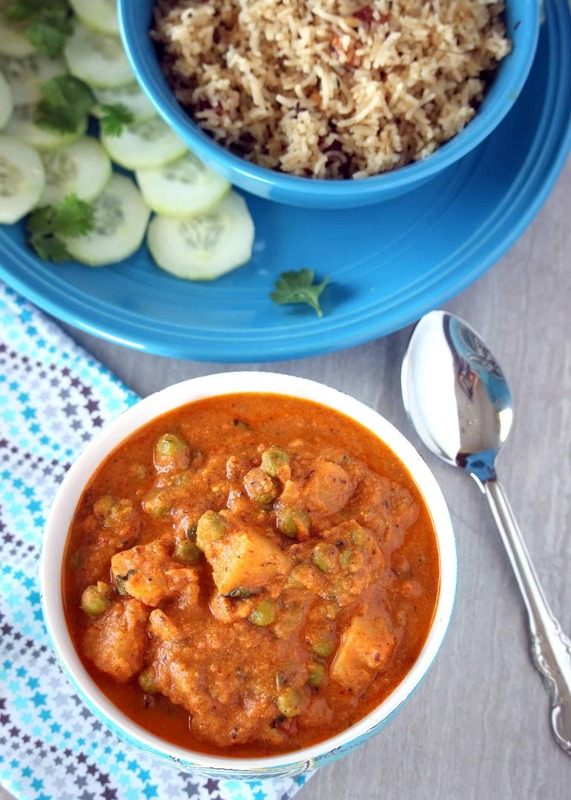 Serve with roti, chapathi or rice!